Everyman has chosen the Treadmills development as its latest location. 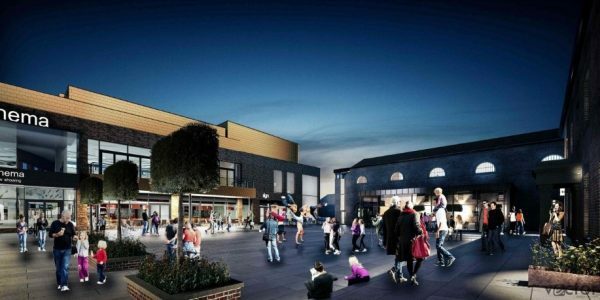 The four-screen, 11,000 sq ft cinema will be located above three new restaurant units, which adjoin a new public square as the centrepiece of Treadmills. Designed by The Harris Partnership for joint venture developers Central Northallerton Development Company (CNDC) and Wykeland Group, the £17m plan proposes to redevelop the former Northallerton Prison as a major mixed use destination. Treadmills will comprise retail, residential, leisure and office space as well as the showpiece civic square, and incorporate five grade II-listed former prison buildings. Flexible office space will be created for digital technology companies, specialists and freelancers, to be operated by the Hull-based Centre for Digital Innovation (C4DI). Planning approval was granted in November 2018 and construction is due to begin by summer 2019 on the first phase of the scheme, including the retail anchor, a 21,000 sq ft Lidl food store.